Ultimate Guide to Air Canada Aeroplan Miles: Part 4 – The Secret Sweet Spot That Takes You Around the World! Air Canada Aeroplan miles give you a great way to travel around the world – literally! You can visit 3 continents for the price of a round-trip ticket. These awards are called “mini” round-the-world tickets and are an incredible sweet spot. In order to book them, you need to know Air Canada Aeroplan’s booking rules. 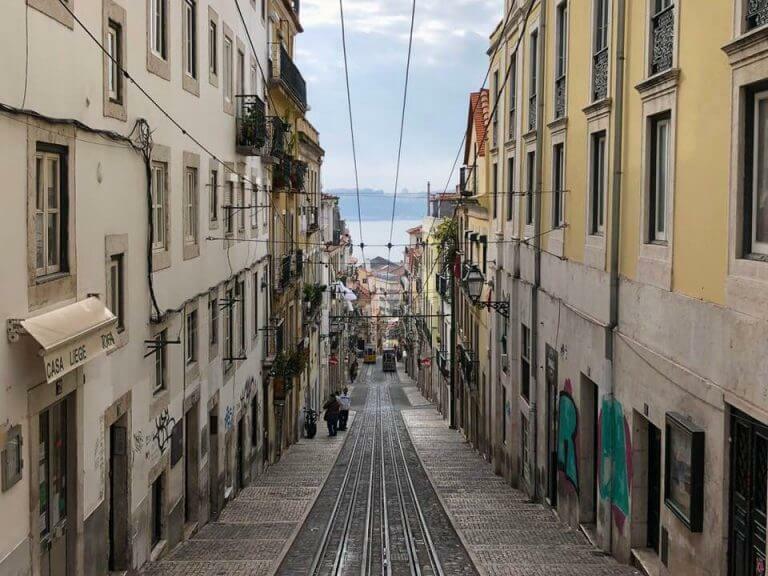 Using Air Canada Aeroplan Miles, Travel Around the World and Visit Places Like Lisbon on TAP Portugal! I’ll explain how to book a mini round-the-world ticket using Air Canada Aeroplan, and the important rules you need to keep in mind. A stopover is a stop in a city for over 24 hours. Your destination is the point on your itinerary with a stop of over 24 hours that is the furthest point from your point of departure. An open-jaw is when you fly into one city, and fly out of another city. Suppose you flew from New York City to Hong Kong, stayed in Hong Kong for a week, and then flew to Bangkok. You stayed in Bangkok for a week and then flew home. In this case, because Bangkok is further than Hong Kong from New York City, Hong Kong is the stopover and Bangkok is the destination. Because you’re allowed 2 stopovers, you could stop in Paris and Hong Kong, in addition to Bangkok as your destination. In this case, you can travel from New York City to Paris as a stopover for a week, then go to Bangkok for a week as your destination. After Bangkok, you could travel to Hong Kong where you stay for a week as a stopover, and then go home. This is a mini round-the-world ticket. You can do all of this for the same number of miles required for a round-trip from New York City to Bangkok! If you paid for a similar ticket, it would cost nearly $2,000 in coach or $6,000+ in Business Class! In this case, you’re flying from New York City to Paris, and then making your own way to Madrid. You then fly home from Madrid. This means that you can NOT do an open-jaw between Paris and Hong Kong, because Paris is in Area 2 and Hong Kong is in Area 3. These are the basic rules for a mini round-the-world ticket. However, there are additional rules you need to know in order to build the perfect trip! Maximum Permitted Mileage (“MPM”) is a rule that almost all airlines use to determine whether a ticket is valid. Air Canada Aeroplan calculates the number of miles you’re allowed to fly from your point of origin to your destination, which is the furthest stopping point on your ticket. If your routing has you fly more than the MPM limit, Air Canada Aeroplan won’t book your ticket. 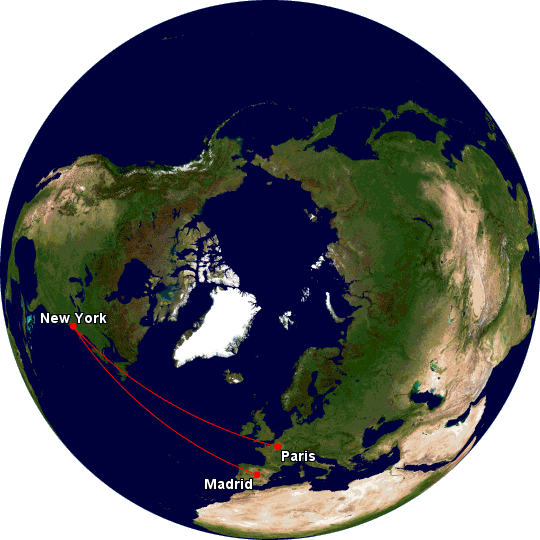 For example, if the MPM value between New York City and London was 10,000 miles, then any routing that flew more than 10,000 miles would not be allowed. 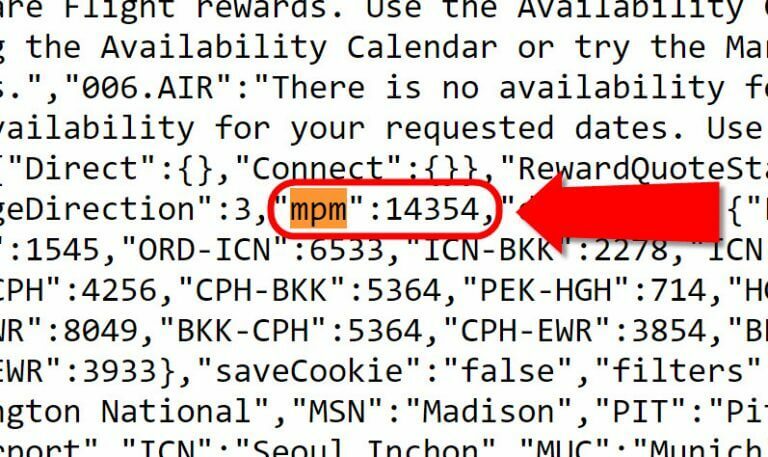 Unlike most airlines which use published MPM values, Air Canada Aeroplan uses their own proprietary MPM values. There are 2 ways to get this number. First, you can call Air Canada Aeroplan at 800-361-5373 and ask the agent for the MPM value. However, many agents are unfamiliar with how to find the number, so this may be a waste of time. First, go to the Air Canada Aeroplan website. Login to your account by clicking “Log In” or open an account for FREE online. Say we want to calculate the MPM value between New York City and Bangkok. To do that, put a New York City airport in the first search box, and then any airport that you know is geographically closer than Bangkok to New York City. In this case, we’ll put Chicago. In the next box, enter Chicago to Bangkok. Finally, enter Bangkok to the same New York City area airport for the return flight. So the MPM value between New York City and Bangkok is 14,354 miles. That means you can book a ticket, with stopovers, that does not exceed flying 14,354 miles from New York City to Bangkok. Now that you know the rules behind mini round-the-world tickets, and how to find the MPM value, you can start searching for award travel. You can use Air Canada Aeroplan’s website to search for available seats. Say you wanted to go from New York City to Bangkok with a stopover in Paris on the way to Bangkok, and a stop in Hong Kong on the way home. You would search on the Air Canada Aeroplan website from New York City to Paris and write down which flights you want. Then you would search from Paris to Bangkok, and then from Bangkok to Hong Kong, and finally from Hong Kong to New York City. Once you’ve found your preferred route, you can use the Great Circle Mapper to calculate how many miles you’d be flying on your desired flights. So long as your flights are within the MPM value and follow the previously described routing rules, it should be a valid booking. Now for the easy part! Once you’ve found the flights you want and confirmed they follow routing rules, call Air Canada Aeroplan at 800-361-5373. You can NOT book a mini round-the-world ticket online. Tell the agent the exact flights you’re looking for, and they’ll build the itinerary. If your trip follows the routing rules, the agent will “validate” your ticket and give you a tax quote. Note: Air Canada Aeroplan charges 30 Canadian dollars per person to book by telephone. There is no way to avoid this fee. Once you receive a tax quote, the agent will deduct the required number of miles and charge your credit card for the taxes and fees. You’ll receive an email with your e-ticket and partner confirmation codes so you can select seats on each airline’s website. 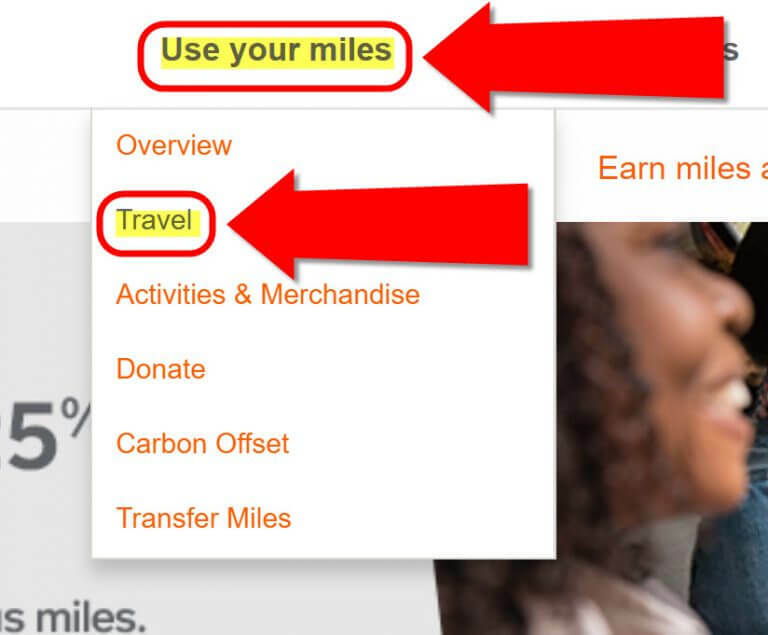 You might have access to Air Canada Aeroplan miles and not know it! You can also transfer Starwood points at a 1:1 ratio to Air Canada Aeroplan miles. For every 20,000 Starwood points you transfer, you’ll get an additional 5,000 mile bonus! It’s best to wait for a hotel point transfer bonus to Aeroplan, which happens occasionally. Air Canada Aeroplan is a complicated program that offers tremendous value. Mini round-the-world tickets are one of the best uses of miles out there. By making the most of Air Canada’s routing rules, you can visit 3 continents and travel around the globe for the price of a regular round-trip ticket! It’s easy to earn Air Canada Aeroplan miles by transferring flexible points from American Express Membership Rewards or Starwood. In the next post, I’ll show you how to avoid fuel surcharges booking award tickets with Air Canada Aeroplan miles! Hmmm… I can’t seem to get step 4 to work. In 3 browsers. Hi guys – this award is even more powerful than you’ve listed here! Within the rules you’ve laid out above, you’re also allowed as many stop-overs as you like, of 23h59 or less. So, for example, on my upcoming trip to Singapore, I’ve got long stops in Taipei and Hong Kong, but I’m also doing 20-hour stops in Frankfurt, Seoul and Zurich. It adds about $50 to the trip, as each airport adds $5-10 in landing fees. Also worth noting that you don’t have to use the Aeroplan search engine, anything you find on United’s website as a “Saver Award” is bookable by calling Aeroplan, and searching this way will typically uncover a lot of flight options that Aeroplan won’t show you! Great point! You can absolutely have as many layovers as you like, so long as they are 24 hours or less (subject to the route MPM restrictions, of course). And you’re right that you can use the United Airlines search engine. While I believe the Aeroplan engine is better, the United Airlines engine shows options that Aeroplan may not show. The same would be true for the ANA search engine as well. I’ll be writing about how to search for Aeroplan seats in the next part to this series when I talk about fuel surcharges and airlines with Aeroplan.